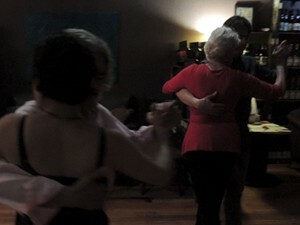 evenings to play music, socialize, practice, dance + share Argentine Tango. 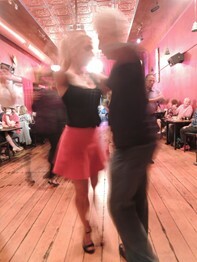 buy some Food & Drink to help justify our presence in a working restaurant. 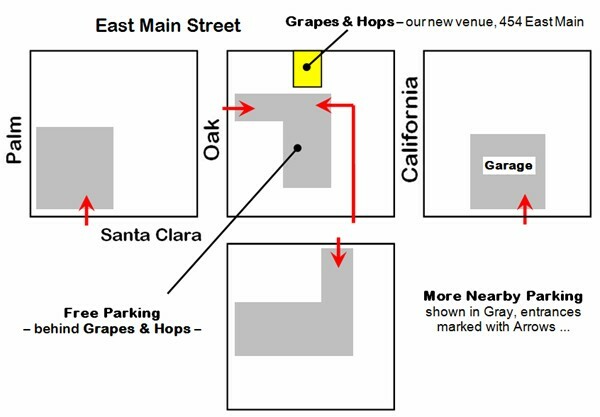 Please: No outside food, beverages or bottles in Grapes & Hops  many thanks. 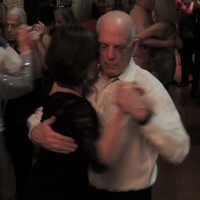 On most nights, the práctica aspect of the evening is actively supervised by Stephen Bauer  feel free to ask for his input and feedback on any tango issue ... and thanks for making a small donation to the cigar box in appreciation. 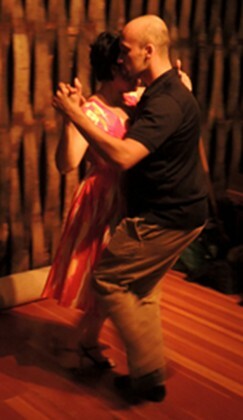 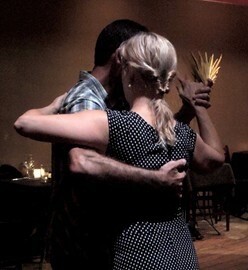 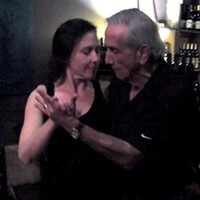 The evening starts with The"X" Session, a one-hour Tango Exchange, from 6:30 - 7:30 pm. 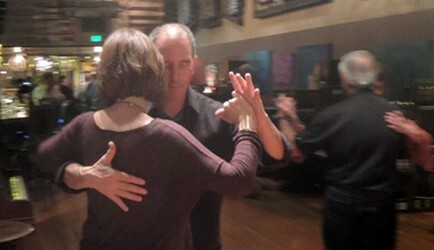 Inspired by similar projects developed in the Bay Area and other leading tango cities, the "X" Session provides dancers with a forum for enhanced interactive learning. 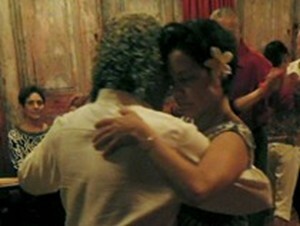 Unlike a "traditional class" where instructors commonly prepare and set an agenda in advance then present it to the group, in an "X" Session, it is the participating dancers themselves who propose and help determine the key area(s) of focus, and they are guided in their investigations and experiments by an experienced facilitator. 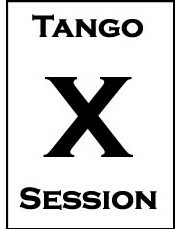 "X" Session takes aim more at how we as dancers engage, embody, practice and create the improvised social art form that is Tango. 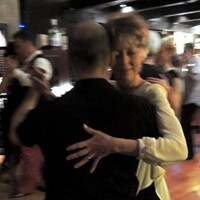 "X" Session explorations can help dancers open up all new areas of interest; explore the transition from classroom study/examples to the social dance floor; revisit older skills and ideas in order to refine, develop and expand them; and/or delve into more detail on any aspect of the dance. 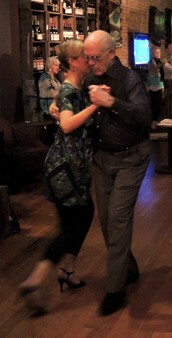 Participating dancers can drop in to the "X" Session on any night; there is no need to pre-register or pay in advance by the month. 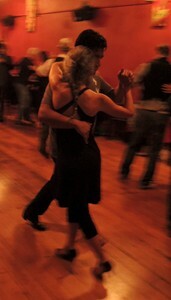 All levels are welcome; no partner necessary. 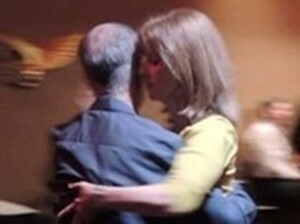 Just come with an open mind, a curiosity about the dance, and a question, topic or area of interest you would like to pursue. 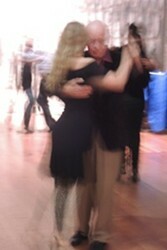 The evening continues with Tuesday Night Tango  two and a half hours of social dancing, from 7:30 - 10:00 pm. 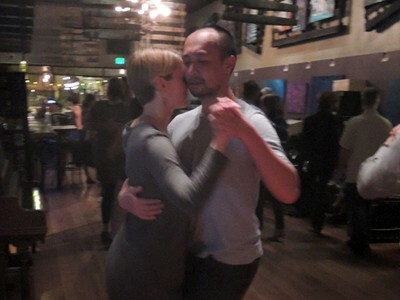 Part informal práctica, part spontaneous milonga, Tuesday Nights are warm, open and friendly  a classic tango scene that is welcoming and inviting to both newer and experienced dancers alike. 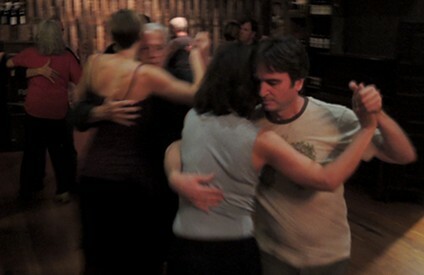 On any given night, a wide variety of people might stop by and spend some time on the dance floor  including experienced local tango dancers, visiting tangueros from beyond the area, those just beginning their investigations of Argentine Tango, and many who have already mastered West Coast Swing or other forms of dance and are looking to explore new territory. 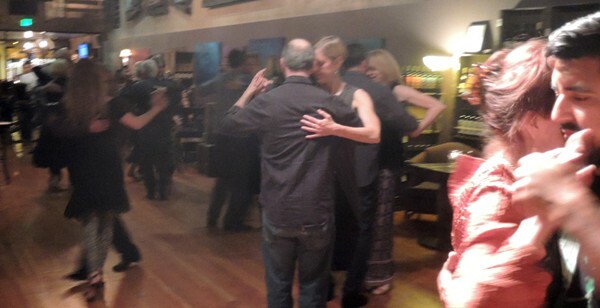 Tuesday Night regulars come from Ventura, Santa Barbara, Thousand Oaks, Oxnard and Ojai, rounded out with visiting Tango dancers in from the Valley, up from Los Angeles, and down from the Bay Area. 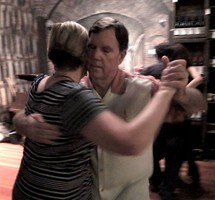 Altogether, this mix of perspectives + kinetic backgrounds helps foster an open-mindedness and generosity of spirit that makes it easy to delve into new situations, encounter the unexpected, confront old habits + limitations, unlock stubborn issues, and coax new skills + ideas into view. 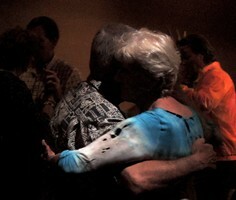 A relaxed sense of freedom is the rule, cross-pollination is common, fresh insights are the norm. 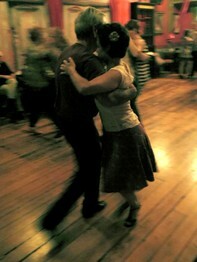 Naturally, newbies, onlookers + the tango-curious help round out the scene. 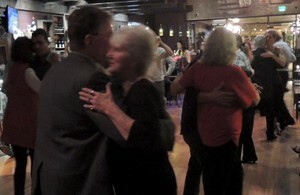 On most Tuesdays, there are times when the dance floor at Grapes & Hops can become fairly crowded  filling up with dancers as they enjoy the music, their partners, and the experience of dancing in close proximity with their neighbors. 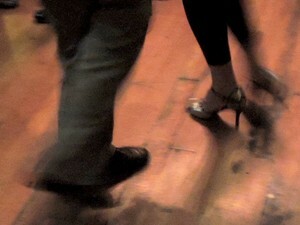 In these situations, our mutual ability to navigate + share the space together assumes a prominience that skilled dancers refer to as Floor Craft. 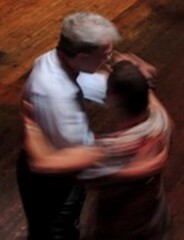 In December 2012, active dancers in our area responded to a Survey regarding their thoughts and preferences about Tuesday Night Tango, which in turn helped inform the updated + expanded format of the night. 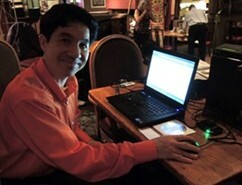 Click here for an archive copy of the Survey, along with an overview of the results. 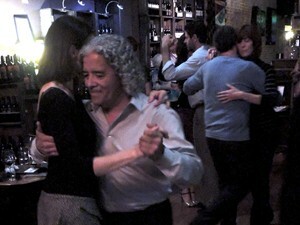 The Tuesday Night atmosphere is very casual and low-key, and the dancers are friendly and welcoming  with an emphasis on having a good time, improving their Tango, and practicing + sharing what they know with each other. 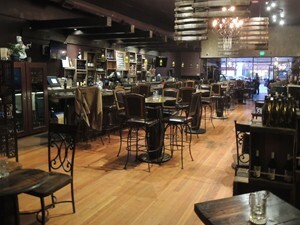 The Tuesday Night space at Grapes & Hops features a smooth wooden floor. 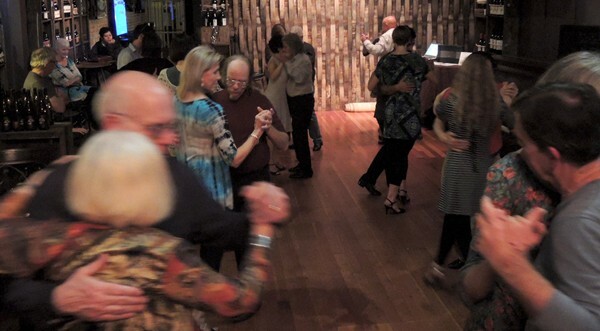 With its high ceiling, casual + flexible seating, and an intimate 400+ square foot dance floor, it all has the feeling of a classic Tango venure. 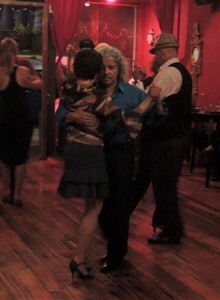 In keeping with Tuesday Night Tango's preference toward openness and accessibility, there is no formal "cover charge" to enjoy the music and dancing. 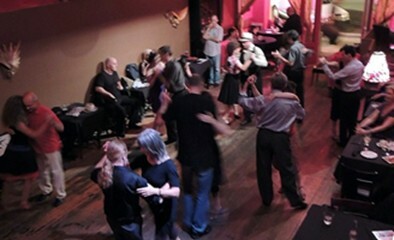 When there's a special event, visiting instructor, or guest DJ, the hosts may decide to "pass the hat" among participating dancers to help support + expand the range of tango possibilities on these Tuesday Nights. 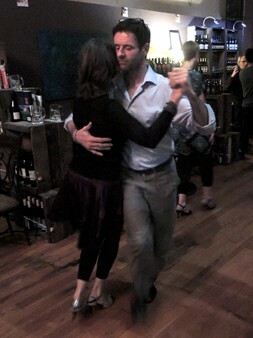 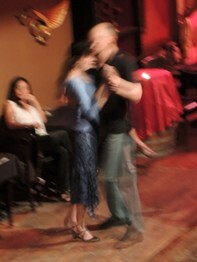 Grapes & Hops is the location + venue for Tuesday Night Tango in Ventura. 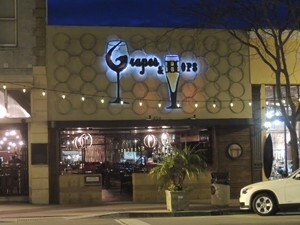 With its superb selection of wines and draft beer, elegant sandwiches and small plates, and long list of glowing reviews, Grapes & Hops complements the Tango with a graceful ambiance and classy vibe. 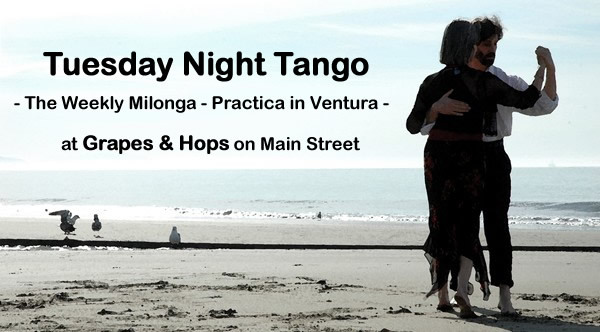 Located on Main in downtown Ventura just across the Mission, the restaurant is an easy 30-minute drive from Santa Barbara, Ojai and Thousand Oaks, an hour or so from many parts of the Valley and Los Angeles, and just minutes away from all locations in nearby Oxnard and Ventura. 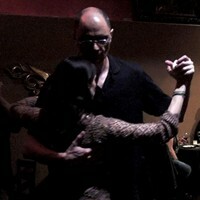 Take the 101 Freeway (northbound) to to California Street, Exit 70A. 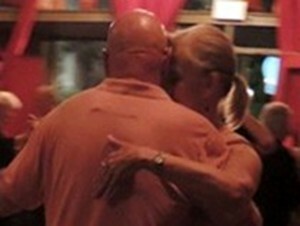 The restaurant's entrance will take you into their outdoor dining area  come inside and go toward the back where you will find Tuesday Night Tango in the large open area at the end of the bar ... or just follow the music. 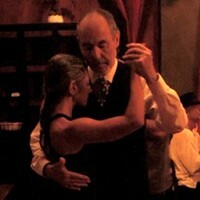 Take the 101 Freeway (southbound) to Ventura Ave, Exit 70A. 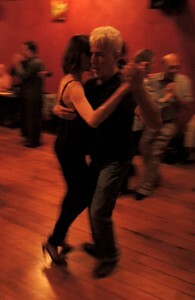 On a typical night, Stephen is the DJ at Tuesday Night Tango, although now and then a guest DJ steps in to spin. 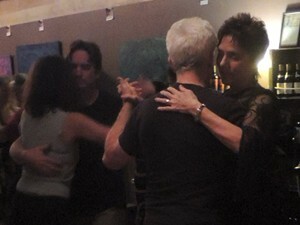 The format is tight tandas with an emphasis on selections from the "Golden Age," with the occasional foray into newer + alternative music if the crowd is interested.